"Shipped quickly and the taxi rattle is exactly as pictured "
"these baby toys are super cute! love them"
"The item do a gift I placed was unfortunately not available but they went above and beyond to get he right gift for a friends who Just had their baby. One of the best customer service experiences I’ve ever had and the gift was a hit! He looked so cute and his mom loved it! Thanks so much for everything!" "Pillow is so cute and soft. A big hit with the birthday boy! " "The quality is excellent. Great addition to a babies room. Shipping speed was very fast. Thank you!" "I gave this as a gift to my son and daughter in law for their first baby. They love it! I’m sure the new baby will too once she arrives! Thanks for a beautiful design and playful style." "I bought this as a baby shower gift and it is adorable. Makes me wish I was a new mom again! OK, well, kinda:)"
"These are seriously the cutest baby toys ever, they're soft and colorful and my daughter loves them! Keep the cute designs coming!" "I sent my friend who is expecting the elephant rattle, whale security blanket and care instructions hat and she absolutely loved them, she said the gifts melted her heart. Estella has the cutest most original baby merchandise I have seen anywhere!" "My son loves his Octopus Lovey! Not only is the product adorable, it is well made and arrived quickly. We feel good about our son having this with him at all times given it’s made from organic cotton." "I have not used it yet on my baby because a got it the next size up so she can wear it during the summer. The onesie is great! Is super soft, I love how bright the avocado colors are. Just a great buy. I definitely recommend it. " "The NYC rattle and blanket set delivered straight to the recipient and they loved the gift! The family just left the city for the ‘burbs and appreciated the theme." "I saw the taxi cab rattle my niece’s baby Ava had received and had to have it for my future grandbaby. While ordering, I saw the bunny and had to order blue and pink for their gender reveal party. It is a boy so he got the blue bunny and Ava got the pink. They are the sweetest toys and organic!" "Purchased this item for a friend's baby. I'm so pleased with the quality of the rattle—and with every aspect of my shopping experience. My order arrived quickly and safely, and I look forward to visiting Estella again soon!" "Bought this as a baby shower gift. It is soooo cute and organic, too! The transaction was quick and efficient. Thank you so much!" "Super adorable rattle for our niece. The Cloth gift bag added a nice touch as well. Will be shopping this store again for sure! " "Onsie is a gift for our niece who will be from NY. The material is so soft and the metro card rattle is adorable. Delivery was fast. " "The quality of the product was terrific! Jean was fantastic in helping me find and receive the Taxi Security Blanket on a short timeline and really made the overall experience delightful. I will certainly purchase from here again! " "My 9 month old son absolutely adores his octopus lovey. We've named him Ollie the octopus, and my little man sleeps with him every night. I love the quality of the product, and the materials are safe for my baby. It's also unique and special, and will be his best bud for a long time! Thank you! " "The rattle is very nice, well designed and cute. The recipient has thoroughly appreciated!!!" "So cute, arrived quickly. Seems to have good craftsmanship"
"The baby rattles was so cute and super soft! Thanks! " "Have not use it yet,I am sure my baby will love it "
"Y daughter just had her first baby, our first grandchild and her brothers , my three sons have the baby a cute nickname. 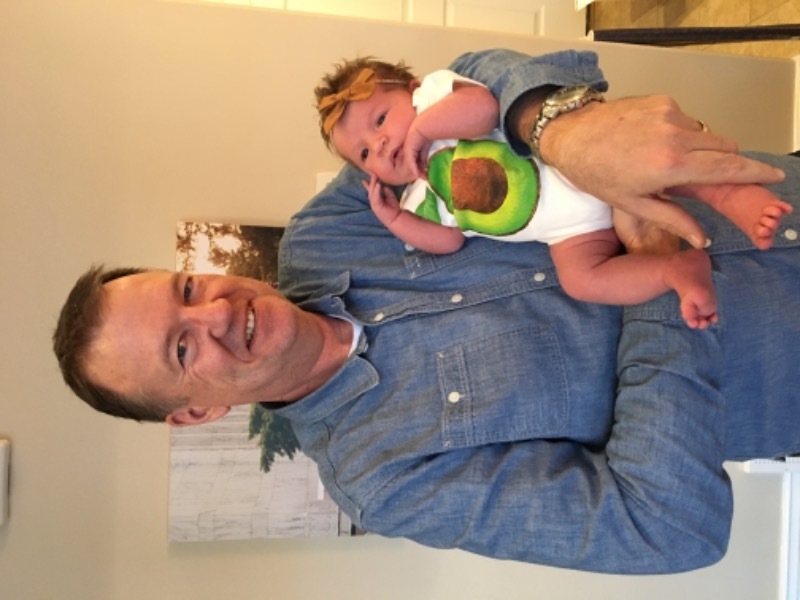 Her real name is Ava Mae Kelly and the boys call her Avocado. It’s pretty cute and endearing so we ordered her your shirt. It’s PERFECT! Thank you so much. The colors in it are bright and beautiful and she looks so cute in it. " "I have put them aside for our expecting granddaughter." "Amazing!!!... my little guy loved it. Super quality item "
"I found this rattle to be cute and I loved the bunny design. I loved the quality. It is the perfect size for small hands. I can't wait to give it to my grandchild. " "I am a true believer and my grandson won’t put them down. Worth every dollar 💕💕💕"
"The toys I received were beautiful, high quality, soft and durable. I know my baby can touch them without worrying about weird chemicals being on them." "My baby loves them and I feel so happy knowing that they are organic. Thank you again! "